Jairo grew up in Lima, Peru, and was saved in a church started by Baptist Mid-Missions missionaries. His heart for ministry grew in his teens as he traveled around Peru with evangelist Tim Chapman. Jairo’s desire was to attend Bible college in the US, so he studied English for three years at Ricardo Palma University. God opened the door for him to attend Northland International University in 2011. 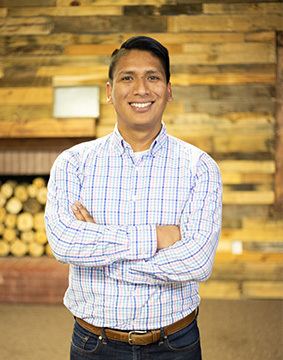 Jairo received a Bachelor of Arts in Theology from Northland International University and is currently pursuing a Master of Divinity from Bob Jones University Seminary. At PBC, his passion is to nurture fellowship and spiritual growth within the Career Group. Jairo and his wife, Suzanne, desire to return to Peru in the future as missionaries. Jairo desires to train pastors and church leaders in solid theology and practice.